We share as much information as possible. Everything is shared, from the results, information on how the opinion was set forth to details on related discussions. So much information is shared because colleagues can understand the context of the task, discover better solutions and get effective results only if they are aware of the discussion process. Information that cannot be disclosed for specific reasons are kept safe and secure. However, explanation on why such information was kept under locks is provided later. Always remember the “100:0 Rule” when disclosing information. We are able to venture forward without sidetracking because we aim for lateral communication. We call the Chairman by his English name “Brian” and the leader of a team by his or her English name. English names do not represent the individual’s title and therefore can be used easily, regardless of the individual’s position or tenure. This allows us, the Kakao Krew, to exchange opinions openly. Such open and frank communication is not interpreted as rudeness; it represents an attitude that is always respectful and open to others’ opinions. We at Kakao are able to outrun our competitors and grow at light speed because we make decisions quickly. We grant authorities to the “right person” so that they can take the initiative and speed up the decision-making process. The “right person” can be the team leader, part leader, cell leader or team member. Anyone is granted the authority, regardless of his or her position. However, authorities are not granted if the authority-delegating person is not confident about the authority receiver’s competencies. since the authority delegating process and scope is clearly defined. Team leader/part leader/cell leader and team member… These are not positions but the role the specific individual plays, and authorities and responsibilities are granted depending on our roles. Kakao stresses lateral communication when holding work-related discussions, regardless of each person’s different roles. 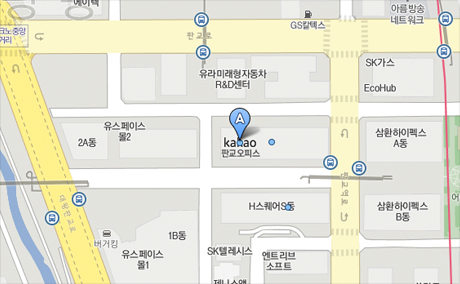 In most circumstances, all members of the Kakao Krew use the same desk and work in the same space. This shows the corporate spirit we want to encourage in our workplace. Therefore, it is not surprising to see a team member hold discussions with the leader of another team on an equal footing. In Kakao, team leaders do not consult with each other and then announce the results to the working level staff. The ‘right person’ for the task, regardless of their role, participates in major decision-making processes. Trust: Faith that each member of the Kakao Krew has good intentions, even if opinions collide. Collide: The act of exchanging honest opinions, even if it does lead to minor inconveniences, and enduring a process of conflict that is based on rational and objective ideas. Commit: The attitude to accept and concentrate on decisions made. Decisions in Kakao are made through the process of “Trust-Collide-Commit”. “Trust” is faith that each member of the Kakao Krew has good intensions, even if they do not share the same opinion. “Collide” is the act of sharing honest opinions, even if it does lead to uncomfortable situations. This process is needed in order to find solutions through conflicts that are based on rational and objective ideas. Finally, commitment is the attitude of accepting and concentrating on the resulting decisions. Decisions that are based on trust and reached through intense collision of ideas are accepted as ‘our decision’, which all Kakao Krew members commit to. “Trust-Collide-Commit” is an overall process used to reach a solution, and no stages of the process can be omitted. Many meetings are required during the work process. That is why we are fully aware of what the purpose of the meeting is, whether it is to make a decision, hear other opinions or share information, when we enter the meeting room. The moderator of the meeting, as well as the person who will draft meeting minutes are assigned in advance and meetings are held effectively within the pre-determined time. The “Trust-Collide-Commit” process is applied if the purpose of the meeting is to make a decision, and decisions reached at the meeting is communicated using methods that are discussed about at the meeting. Desks at Kakao are not divided by partitions. This allows the Kakao Krew to cross over without limitations. It’s okay if each of us works on our given task diligently, but we are encouraged to peek over to other teams and interfere with their work. However, our interference and opinions must be based on trust and respect. We also carefully listen to, and respect, any opinions given by other members about tasks we are responsible for. We may each belong to an individual team, but we are part of a larger group, Kakao. There are no right answers because we are treading on unventured soil. That’s why we make the best possible decision with the information and situation we have at hand, even if it is not perfect, and quickly execute the decisions. Even if the decision is fully explainable on paper, time and energy is not consumed on drafting a nice document, but invested in quickly sharing and executing the decision. Execute first, and if the efforts were unsuccessful, the cause of the failure is quickly detected and corrected. Superb quality services are completed by swiftly repeating this ‘developing-assessing-learning’ process. The inability to fear failure and the ability to execute decisions quickly is all part of our Kakao DNA. If we lose track during our adventure and end up at a place that is not our destination, we go back. We did not fail; we simply learned that this was not the right road to take. By looking back, we transform our experience into knowledge, which then evolves into wisdom. We learn so much through our successes and failures. After the project is completed, we remember and review each of our experiences, which help us grow. we do not repeat the same mistakes again. We are all different people, so we acknowledge and understand that we all communicate and work in very different ways. Some may work standing up, others may work at “Da Capo”, a few will move around on a kick-board and others may even play games during work hours. We at Kakao naturally embrace and respect each person’s different work style. However, my chosen way of work should not make other Kakao Krew members uncomfortable. We can all show strong performance when we each work with methods we are most comfortable with. For refreshment, our Krew gets a one-month sabbatical leave and a vacation allowance of 2 milion KRW every three years. There is a krew café where the krew can take a break, a nap room, a lactation room, and a krew lounge where krew members can have meetings, read books or play games. Kakao Krew have access to resorts or vacation spots which have a partnership with Kakao, and use condominiums at a special price. Kakao offers up to 30 million KRW to help krew members or their direct family to pay for medical charges in case of illness or injuries. Kakao Krew get a general medical examination once a year at a specialized facility to ensure well-being and prevent illness. In addition to the four major public insurances, all Kakao Krew subscribe to a group accident insurance plan which covers various injuries, accidents and illness. Kakao Krew are looked after! Kakao provides congratulation and condolence vacations and expenses, sends flowers to weddings and funerals, and also offers funeral support including funeral directors and helpers. To promote Kakao Krew's welfare and stabilized livelihood, Kakao grants loans up to 70 million KRW. 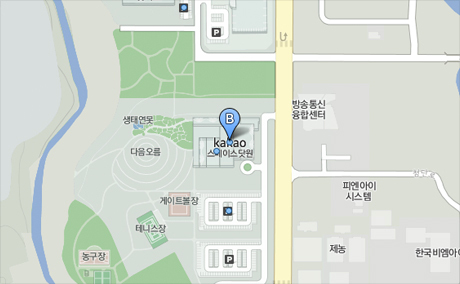 Kakao has a daycare center in each of its office building to help Kakao Krew raise their families by providing professional care for their children while they are at work: Space Dot Kids in the Jeju Office and Neul Yesol in the Pangyo office. The Kakao Krew uses English names. The Kakao Krew is aware of our rights and responsibilities. 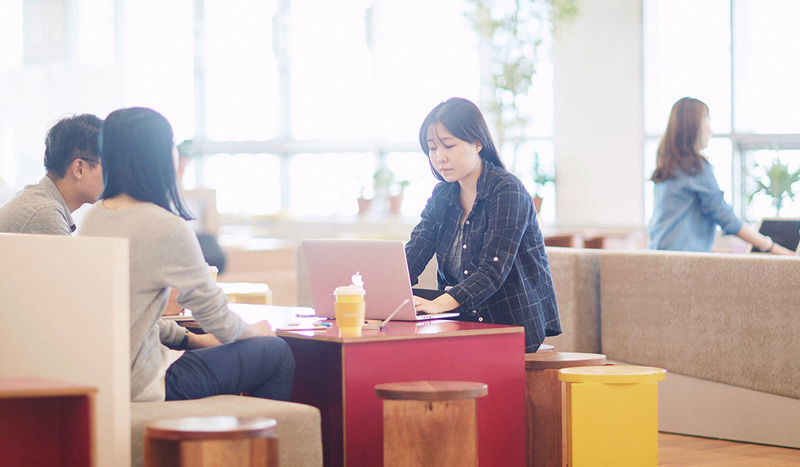 At Kakao, a team member and a different team’s leader can negotiate on equal grounds. The Kakao Krew trusts, collide and commit. The Kakao Krew holds effective meetings. The Kakao Krew takes interest in other team’s work. The Kakao Krew is encouraged to execute quickly. The Kakao Krew always looks in retrospect. Each member of the Kakao Krew concentrates on work in different ways.